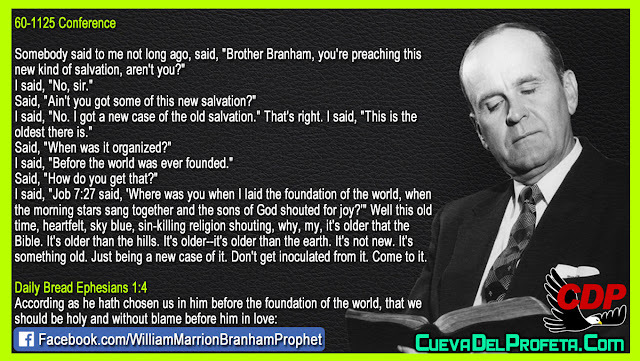 Somebody said to me not long ago, said, "Brother Branham, you're preaching this new kind of salvation, aren't you?" Said, "Ain't you got some of this new salvation?" I said, "No. 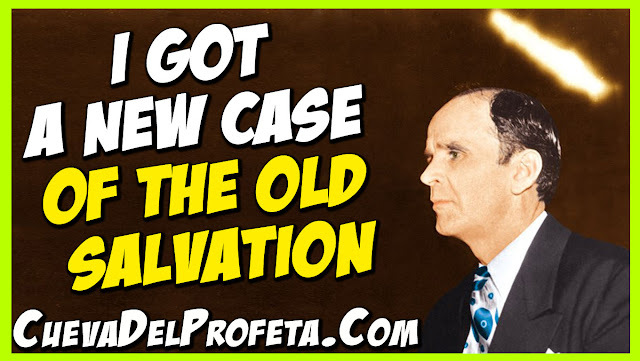 I got a new case of the old salvation." That's right. I said, "This is the oldest there is." Said, "When was it organized?" I said, "Before the world was ever founded." Said, "How do you get that?" I said, "Job 7:27 said, 'Where was you when I laid the foundation of the world, when the morning stars sang together and the sons of God shouted for joy?'" Well this old time, heartfelt, sky blue, sin-killing religion shouting, why, my, it's older that the Bible. It's older than the hills. It's older--it's older than the earth. It's not new. It's something old. Just being a new case of it. Don't get inoculated from it. Come to it.